What is the purpose of glide along safety steps? 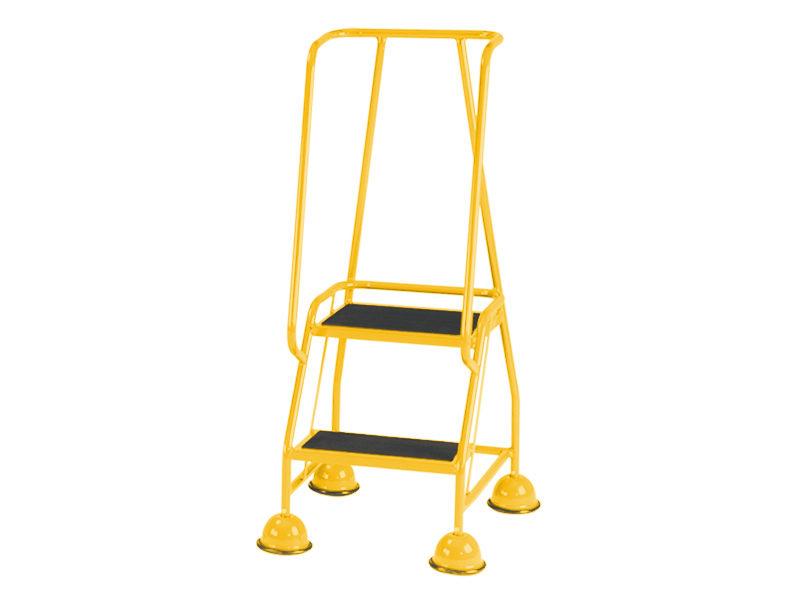 The Workplace Depot is proud to bring you a great selection of easy to move safety steps. 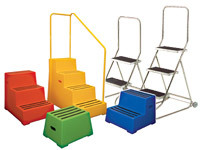 These glide along safety steps come in a variety of bright colours and in a variety of sizes. They are great for use with almost any project. Not only do these steps look attractive, but they are also durable and can be used for even tough projects. They are easy to move and adjust. You can get them in a variety of heights, depending on your needs. These steps can be used anywhere. They can stand up to industrial use, but they are charming and look great in many other environments as well. You can use them in schools, studios, kitchens, stores, and other locations. You can even use them at home to get to those hard-to-reach items. 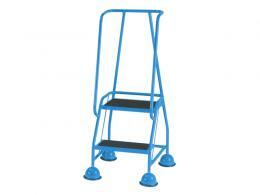 Anyone who needs a set of reliable glide along steps will love this item. It can be used by anyone, from industrial workers to homeowners. These steps are crafted from top quality materials and are reliable. They are mobile and easily glide into whatever position you desire. The sprung castors make moving these steps easy, but the castors spring back when the steps are in use to ensure stability. This item has circular cups that grip the floor when a load is applied. These cups help keep the steps from shifting while they are being used. Ribbed rubber and anti-slip surfaces make these items even safer. The maximum weight allowance for these steps is 125kg. You can order these steps in a variety of heights and sizes depending on your personal needs. You can also get them in a variety of colours, including red, yellow, green, blue, and white.